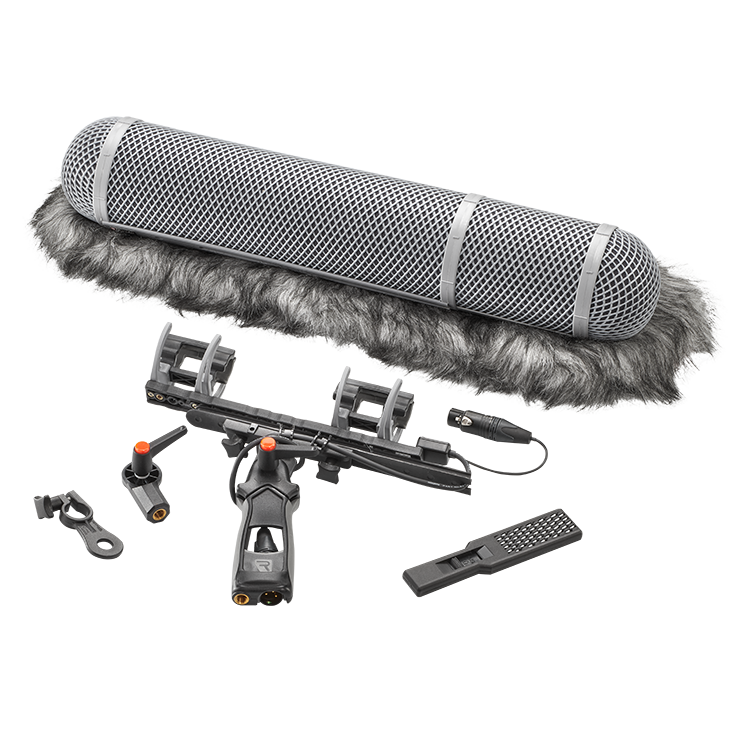 When microphones are used in outdoor applications, with strong winds and vibrations, WKE... windscreen sets should be used for best performance. The windscreens will attenuate sound only in the uppermost frequency range. Wind noise attenuation was measured without electrical filtering in a turbulent air stream traveling at 20 km/h, generated by a noiseless wind machine. Windscreen set for KMR 82 i. The elastic suspension, with pistol grip and boom pole connectors, can be used separately, or mounted inside the windscreen. For high winds the use of the textile cover, or the windjammerTM fur is recommended. Clips for mic diameters 19-25 mm are included. Wind noise attenuation (with windjammerTM) 25 (33) dB approx. Attenuation at 15 kHz 3 (9) dB approx. Ø 100 mm, length 570 mm.